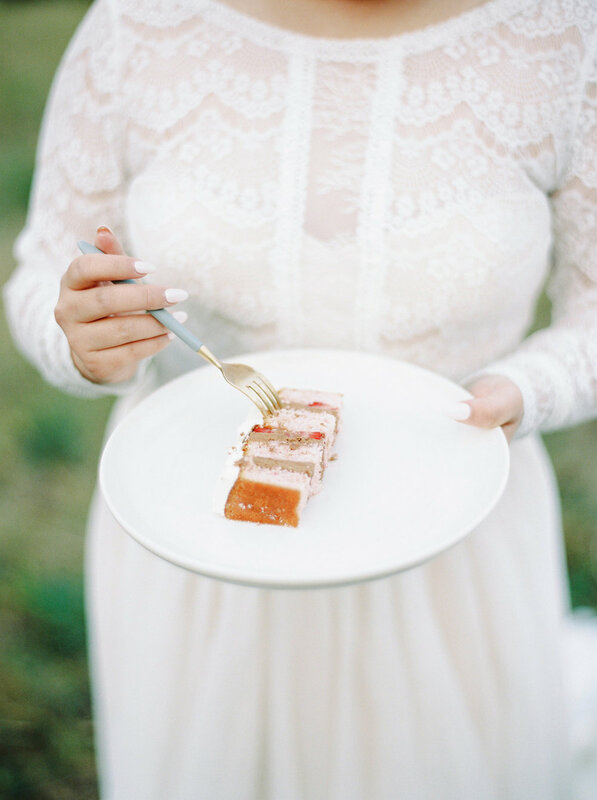 This 2 day elopement started in Emerald Lake with a canoe stroll down the crystal blue waters. Day 2 adventures included an intimate ceremony in Banff and a reception to follow in Canmore. 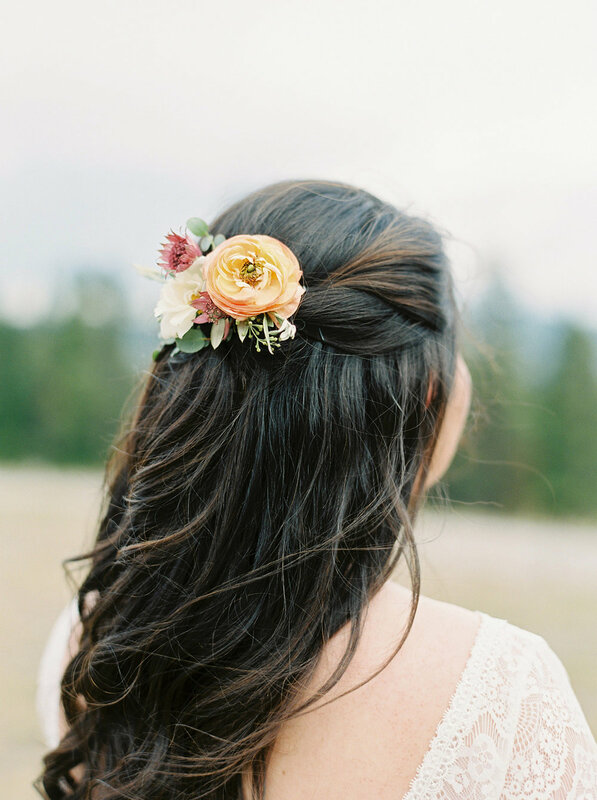 When this bride first shared with us her inspo photos, we were ecstatic! 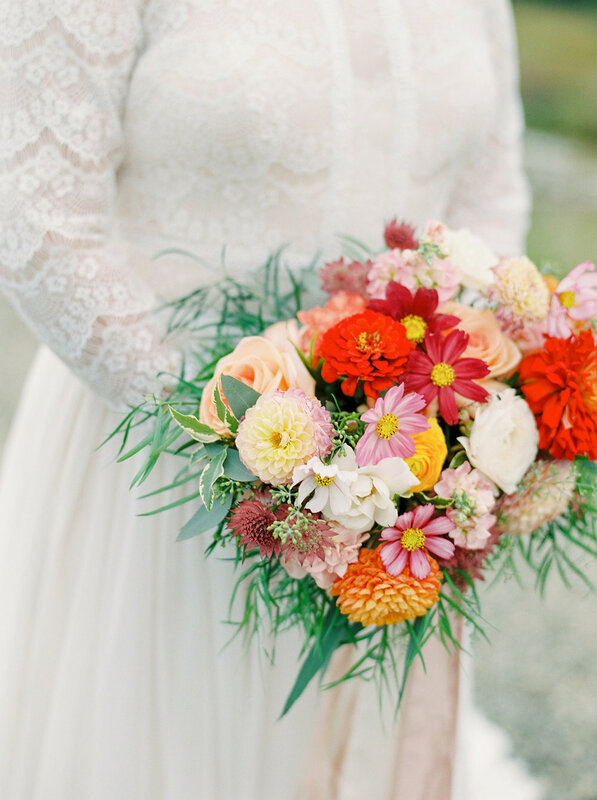 The vibrant colors of reds, corals, yellows and greens popped against the stunning backdrop of the mountains. This bride also opted for 2 bouquets for the 2 days - same colors but different design. 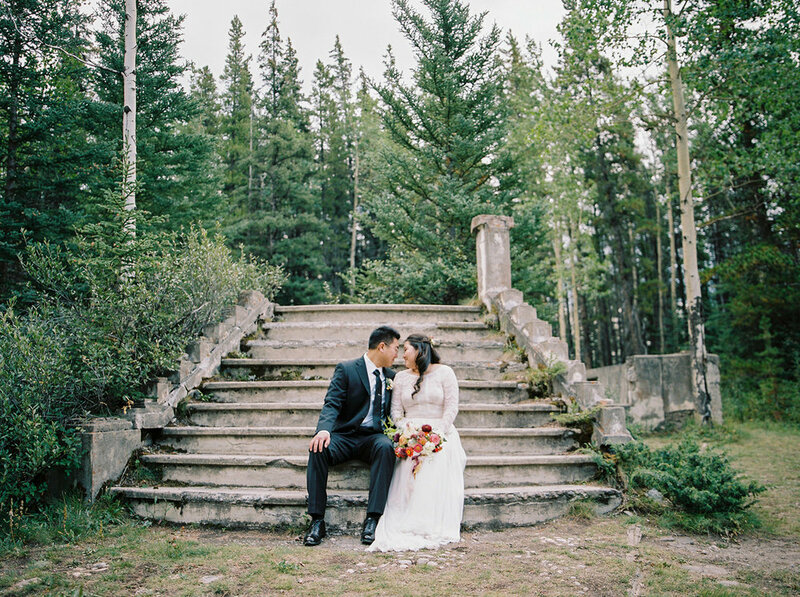 We couldn’t be more thrilled to share this beautiful gallery of this stunning couple in the rocky mountains!